Do you want to be able to publish stunning photos on your blog to complement your existing content? Most blogs nowadays are becoming increasingly more visual, and if you want to keep up it is important that you start as well. It may sound complicated, but the rule of thirds is actually a simple framing technique – and you can enable the grid on your smartphone or digital camera to start. Using that grid you should then align the subject with the lines or intersection points, as it will help frame it better. One of the main issues that causes the quality of photos to suffer is if the camera isn’t held steadily. If you have issues, keep your arms locked at your side and hold the camera with both hands as that can help keep it steadier. In the event that you still have problems, you may want to try using a camera holder of some kind. When you want to make the subject bigger it can be tempting to ‘zoom in’. In most cases that isn’t a good idea, as using a digital zoom will cause a drop in image quality. As such, you’d be better off getting physically closer to your subject rather than zooming – and should try to do just that. Aside from improving your photography techniques, you should also try your hand at photo editing. 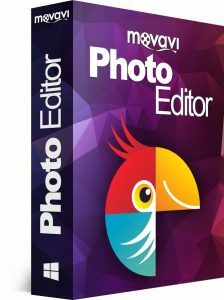 Again that may sound complicated at first, but with the help of Movavi Photo Editor you should have no problems getting started. 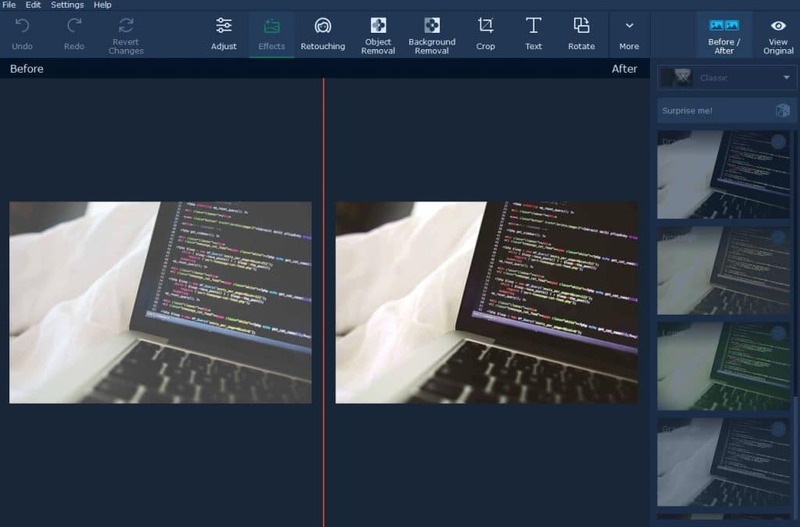 In contrast to what you may expect, Movavi Photo Editor will make it easy for you to edit your photos. It has an intuitive and simple approach that requires no learning curve, nor any prior experience. To be entirely honest all that you do need is to experiment with its features and in no time you’ll be able to use them to improve the photo quality, remove unwanted objects, add captions, apply filters, and more. Suffice to say Movavi Photo Editor can help you to create some truly impressive photos for your blog, and with little or no hassle whatsoever. It would be a good idea to give it a try, as it could make a world of difference in the long term. informative and useful article you wrote. Thanks for sharing it.